Oct. 19, 2017, © Leeham Co.: Boeing is nearing a decision whether to restart the 767-300ER passenger line, LNC has learned. The company is in discussions for 50-60 aircraft, market intelligence indicates. Boeing declined comment, saying it does not discuss conversations with customers. But sources indicate that the prospect of restarting the 767-300ER passenger line could serve as interim lift until the prospective entry-into-service of the Boeing New Midrange Aircraft, now commonly called the 797, for the Middle of the Market sector. LNC on Aug. 14 speculated that relaunching the 767-300ER could be a good tactical move on Boeing’s part. Restarting the 767P has been an on again, off again prospect. When LNC hypothesized in August about the tactical move, it was “on again.” Subsequently, it was “off” when Boeing decided to increase production of the 787 from 12 to 14/mo. No decision has been made. One could come by the end of the year. Launch of the 797 is not yet a sure thing. In fact, market intelligence is unclear. While engine makers and some key suppliers to Boeing continue to study their products and supplier support to Boeing, none of the lower tier suppliers LNC has checked with are in discussions with Boeing. A launch at the Farnborough Air Show is more likely, but LNC also has been told it may not come until early 2019. Kim Smith, VP and GM of Fabrication for Boeing, declined to answer a question posted by LNC at today’s British American Business Council about the possibility of compressing the launch-to-EIS time of the next new airplane program, the 797, compared with the recent seven year period seen by Boeing, Airbus and Bombardier. With EIS of the 797 usually tagged to 2025, seven years launch-to-EIS is 2018. Six years is 2019. Market demand remains unclear. Boeing publicly says it’s 2,000-4,000 over 20 years. Others peg it as closer to 2,000. The lower end makes a difficult business base. How competitive is the 767-300ER without new engines? Seems like if you do it you would want to have a “MAX” version to make it appealing. Would this push forward the timeline for a 737 replacement? Seems like that is a bigger gap than the 797. As competitive as the 333Ceo which Airbus managed to sell a few dozens in recent yrs to Saudi Arabia and China. Or sell it @ a price cheap enough to neutralize its fuel cost disadvantage especially in an environment where oil price is projected to remain relatively low for quite some time. As competitive as the A330ceo that has buried it? Just a 4:1 ratio of competitiveness then? 767 is 11 years older. It’s main competition were the , for many years defunct , A300 and A310. The fact that an airplane from the seventies can and still is relevant to may fleets , speak for itself. “767 is 11 years older. ” Did you not just make his point. He wasn’t making any loaded statements about the 767. He was just mentioning that it doesn’t sell in competition with an A330 CEO. I would take these “rumours” with a grain of salt. Boeing is still building and selling an aircraft from the 1960s. The 737. It has been updated many times and Boeing is still trying to stretch out its production. Lufthansa took delivery of the first 737-100 in April of 1968. “As competitive as the A330ceo that has buried it? While I don’t know where U get that “921” data fm but I can immediately see that figure is double-counting the 330Ceo with the 330Neo despite I said only about 330Ceo. Fm 2007 to 2017 as of today per Airbus official website, 330 program has sold a net total of about 1,050 frames regardless of Ceo or Neo and we know for certain the 330Neo has sold 212 frames so 330Ceo couldn’t possible hv sold more than 840 frames so the ratio is more like 3.6:1….may be U were rounding off figures. 1. 767 program is @ least a decade older than the 330 program. 2. The 250seats(3-class nominal) mkt or above is beyond the reach of the 767 program while every 330 variant delivers more than that seat count. 3. Other than cabin update which is relatively cheap, Boeing really has not even tried to invest any development+cert $ on any 767 pax variants upgrade over the past 10yrs while Airbus did on development+cert on 330Ceo upgrades to raise MTOW 3 times(4 times if we count the upcoming 251t variant) fm 233t to 235t to 238t to the current 242t. It was expecting more like a 5~6:1 ratio 330Ceo vs 767. That takes 66 off the table. Should have been ARE talking, brain zark. There was once a 787-3 proposal by Boeing,a domestic 787. I’m 6 ft tall and 200 pounds so I prefer to fly on a larger plane,esp transcon. The 787-3 could that fill in the gap plane. Sounds like its an offer to other airlines to counter some new A330 neos. One country loves the 767, mostly because they are so heavily involved in its manufacture- Japan. ANA and JAL could do 25 new 767SRs each for their domestic market ? Maybe the 787 isnt going to work out well for that scenario and with a high density interior could be feasible. There’s quite a lot of competition in Japan – ANA, JAL, Peach. You’d imagine that at some point the fuel economy of the aircraft is going to make a difference to the cost base of the operation. Unless it’s re-engined, one can’t quite see how a 767 is going to be the most fuel efficient way of transporting people. The internal flights in Japan seem to operate like trains; there’s one every 5 minutes, or so it seems. For them a better service might be smaller aircraft, but more flights. Replacing an old 767 with, for example, a couple of C-series is a distinct possibility, especially if it’s more comfortable and has better overall efficiency. Peach are an A320/neo operator. If they want a smaller jet, the C series may now be on the cards. ANA are disposing of their older 767s, heading towards A321neos and 787s. JAL, previously an all Boeing shop, are getting in a bunch of A350s. I guess if they like those there’s a chance they might want to cast an eye over the rest of Airbardier’s catalogue. Airbus are beginning to make inroads into the Japanese market, and I can see Boeing wanting to resist that even if it means restarting 767 production. It could also be a make-work exercise. If Japanese companies are heavily involved in the manufacture of the 767, keeping them busy by making some new ones might simply be Boeing’s way of making sure they don’t get too interested in participating in Airbus’s grand plans. Thats because the fuel efficiency of the existing 767-300 is compared to other newer planes in long range operations. That will change markedly when you do only 1 .5 hr flights with a high density configuration. Immediately the planes own fuel load drops away and likely cargo isnt carried. But for Japan domestic ops, they rarely reach anywhere near that “point” because 99% of all frequencies are well within 3hrs sector duration. Even the longest sector CTS-OKA is just 4hrs but served only 1x daily. U can’t see it probably because U are unaware of how & where the latest gen turbofans collect fuel efficiency gain over older types such as 767. New gen widebody types with new gen turbofans+wider wingspan/tricky wingtips derive almost all of their fuel efficiency advantage over older types during cruise. The shorter the cruise, the lesser the diff. And for extremely short cruise common in Japan domestic sectors, higher weight fm new gen turbofans+wider wingspan/wingtips start to significantly deduct fuel efficiency gained fm cruise. The same dynamics exist in narrowbody new gen vs old gen but the weight effect is less pronounced as narrowbody isn’t really designed to carry supporting structures required for true longhaul ops(i.e. 9hrs or longer). And we’ve not even factored in the effect of a low oil price environment. U will notice that this kind of domestic frequencies almost always involve to/fm HND. HND is the most significant part of Japan domestic network but HND obviously does not equal to all of Japan. Downgauging already happening since early 2000s across Japan domestic network including HND. It accelerated in recent yrs since a new wave of LCCs entered the mkt earlier this decade and HND added a 4th rwy. As recently as 8yrs ago, there were 32 frames each with 500 seats or more(i.e. 744D & 773) flying exclusively across Japan domestic network. Today, there’re only 11. IMHO, it is not because such downgauge magnitude fm 270seats to 135seats(best case scenario for a 2-class Japan domestic config CS3) is too extreme. Will need 2 airport slots for a CS3 to deliver the same capacity of a single 763ER and HND, despite the 4th rwy added 7yrs ago, now has no more vacant slots available during domestic op hrs. 1. They’re too young to switch family by abandoning 320 completely….all the hard fought investment in crew sourcing/training(had a pilot shortage crisis just 2yrs ago)+support infrastructure would be lost. 2. Fleet scale too small, by typical global LCC std, to op 2 families. Only 19 frames in service today and no fleet plan to reach anywhere near 50 frames before 2023. AirAsia group already operates nearly 200 frames and even they don’t dare to stray fm the 320 family. That’s all good stuff. Flights within Japan are certainly up, over Mt Fuji, and down again the other side (+ minor variations on that theme), with barely a moment in level flight. So yes, you’re right, I was unaware of the significance of a lack of a cruise phase. Haneda is indeed pretty busy. Other airports such as KIX are often deathly quiet, or so it always seems, though that may change if they close Itami (unless the flights goes to Kobe instead). I’ve not been to Fukuoka for a long time, so I don’t know what that’s like these days. Itami is another one of those very convenient airports – right inside Osaka. It’s pretty busy. But there’s a lot of local dislike for the airport due to the noise, fears of a crash, etc. The local mayor wants to close the airport and re-use the land. It’s going to be very interesting to see what happens in Japan’s domestic flights market; like a lot of countries the business world is condensing around the capital, Tokyo. The more that happens the less demand there may be for business air travel, and the more commuter trains they’ll want instead. Osaka and the surrounding area are losing businesses to Tokyo. And so on. Plus it’s an aging population; older people aren’t as keen on a cheap flight as younger people; the trains are very easy to use. The maglev line being built from Nagoya to Tokyo is effectively intended to turn Nagoya into a dormitory town for Tokyo (or at least that’s what the mayor of Nagoya is complaining about). Going only as far as Nagoya is pretty useless for any other purpose, though there are grand plans to extend it as far as Osaka (missing out Kyoto). If it all does actually get built (that’s a big if – it’s probably going to involve insolvency, a reluctant government bail out, and re-privatisation in 20 years time) it will bring in a lot of very high speed capacity, right to the important city centres between Kansai and the Kanto plain. That might make it tough for the airlines to compete. Keep in mind for a short hop the price of the airframe becomes a major factor. More frequency is not an open path afaics. Japan operates in its own world. Previously the used 747s for short hops. I assume they have a better idea of what works that we do? More likely to counter some new-built 333Ceos offered by Airbus @ low prices similar to the Saudi & China deals. Also the fact that most Tier-2 or lower tiers airports of the nation outside the largest hubs @ CTS, NRT/HND, NGO, KIX/ITM, FUK and OKA still hv most of their widebody gates @ ICAO Cat D where not even a 333Ceo can fit. Some folks forgot 767 is the only widebody still in production that fits ICAO Cat D gates….the main reason why Boeing chopped off a large chunk of 788 wingspan(and therefore aero efficiencies) to create a Cat D compliant 783 back in 2004 almost exclusively due to NH & JL domestic op requirements. Not just feasible but already operated by both. Both hv already been operating 763 in high density config(270seats, 2-class for NH) for decades in the domestic mkt. In recent yrs, both started converting their relatively young int’l config 763ER frames into the same hi-den config purely for domestic duties. 787 didn’t work out too well for both to replace domestic 767 because even a prototype for the Cat D compliant 783 was never built. Older are being replaced, probably the 767-300. Not a directly comparable scenario. Surely U would agree that each 747 sales(nearly a monopoly until 380 emerged) generated far higher profit margin in % term than each 797 sales(squeezed in by Max10/321LR pricing on 1 side and by 330Neo/787 pricing on the other) will possibly being able to muster. IMU the 747 only ever made “real” profits in the 1990ties. all cloaked by accounting, but. ..
And let’s be honest, that was all Boeing needed in the 90s fm a literally & figuratively speaking largest cashcow in the commercial aerospace world to support huge R&D spending(and likely below cost production for the 1st 3~4yrs) on their nex solid gold hit: the 777 family…..”cloaked by accounting” all along or not. FLX, that wasn’t my point. At the time Boeing committed to the 747, they thought they would be lucky to sell 200 units (and for a number of years that initial assessment appeared accurate). I remember in the mid seventies, the accounting block was increased to 400, so I doubt there were cash cow margins until after that point. One of the big things that has changed is the manufacturers’ expectations on returns; in those days a 3% margin was considered phenomenal. It is the increased greedyness of the shareholders that have changed the “business case”. The urge for huge dividends short term, now greatly surpasses any interest for long term investmenrs. All western world companies suffers from this. Western world populations are getting older and those profits/dividends are a lot of people’s pensiones. China will soon face the same problem in one way or another. Maybe the NB situation is worse than Boeing admits. A relative high amount of MAX “orders & commitments” used to be for “unidentified customers” and lessors with smart conditions. I noticed nobody wants to know how solid they really are. In that case, a brand new NB is strategically more important than a niche NMA. Basic specs of the 767 aren’t bad. It’s light, right sized. Use the 777X cockpit, a suitable GENX, make AKH optional and a replace dated systems. The -400ER was already a significant update. It would probably take 3-4 years and cost ~$4bln. No need to use the 777X cockpit when the USAF paid to have almost all the 787 cockpit included for its use including FAA cert. Boeing won’t use this cockpit, as it will make them look bad when complaining about Airbus and Bombardier. Coming from the old school I would like this. The MTOW of the 767-3’s are around 80T, a 1/3 of the 787’s and 330’s. With revised blended winglets and cockpit upgrades this will suit several airlines needs. Engines could be the key, not sure if it will have the ground clearance for the current 111 inch fanned engines? Thrust requirements 55-60KLb, maybe a de-rated version of the GEnx-2B’s (105″) used on the 747-8F’s? Should be OEW around 80T. Thanks, you right its 82T OEW is for the 767-200ER. Coming to think about it, an ~6000NM B767-200ER with around 220 seats could fit in handy between the 737-10 and 787-8. But new 50KLb engines however the biggest issue. Afair 763 has, out on the payload range charts first corner, a higher payload derate per ton fuel added for range than the A330. The OEW advantage does not transfer all that well into airframe efficiency. 787 is 64 to 76. Engines don’t cross, too big and heavy for the need. As we heard today, the A330-800’s range goes up to 8200nm and the A330-900’s range up to 7260nm. That coupled with new interiors, 4th generation IFE etc, makes the A330 an even stronger and more versatile contender. The 767 is dull and old and wont stand a chance. From a passenger standpoint, the 767 is the most comfortable wide body. I always preferred the 767 on flights to Europe, 2-3-2 seating is the best. If they are re-engined and given some upgrades in wings and a weight loss program, it might sell quite well. With a range of 5000-5500 miles, it will fill a spot for many airlines that don’t need a range of 7000-8000 miles. Boeing did four versions of the 737 which is quite a bit older than the 767, so why not a new version of the 767. What’s one persons dull can be another man’s delightful. The A330 also flies in 2-3-2 and is just as comfortable as the 767 and much more advanced as is. The A330’s I flew on were Usairways A330-300’s and they were 2-4-2. I don’t care about advanced, I as a passenger, being much more advanced means little to me. If Boeing does an upgrade on the 767 such as engines and a sky interior, it will appeal to both the airlines and the flying public. I have flown both and prefer the 767, just my 0.02 worth. The 787 was designed to be 2-4-2, should have at least the same comfort levels as the 767 but almost everybody flies it 3-3-3, as far as I know only JAL flies 787’s in economy 2-4-2? Flew in an AA 787-8 two weeks ago, E+ is 2-3-2, very nice. But I know of another US major with not great quarterly results that fly the 787-8 in E+ 3-3-3, only difference some more legroom. I am not paying for that. Keep peddling this myth and hopefully 1 day, everyone will believe it instead of bothering to actually look @ program history details. Fm program launch in 2004, Boeing has always included a 9abreast config complete with a cabin mockup as shown on mkting photos(also brochure) which I hv seen quite a few times fm as early as 2006~07 and still hv a hardcopy sitting on my old bookshelf today. The fact that Boeing has shown the 8abreast cabin more frequently in public during 787 development does not invalidate the fact that 9abreast was part of the 787 program all along. If a 787 cabin is in 7abreast config, the seat is not Y+ std. It is true PY std. If a 787 cabin is in 9abreast, the seat is either Y+ or the good old Y. No way it is PY std. PY vs Y+ is apple vs orange comparison but many folks unfamiliar with airline industry seem to think they are the same thing. I bet U every cent/penny/yen in my pocket that there’s no way AA’s PY is being sold @ a typical fare level anywhere near UA’s Y+ on similar/same route. Go and look at AA’s and United’s Premium economy on the 787-8’s and then you tell me I talk bull……! @Anton: You are incorrect that the B787 was marketed as 2+4+2 seating. It was in fact, marketed with 3+2+3 seating, as you may recall from early PDFs and early web brochures. Joe: I am old and dull and I still do pretty good. Well proven and a huge amount of experience in a lot of different fields. Sounds a lot like a 767! Flew on an AA 787-8 with 2-3-2 premium, was very nice. Think Virgin’s E+ on the 787’s are also 2-3-2? Not sure why airlines are not making business 2-2-2 and add a few extra rows of E+ 2-3-2, I cant recall seeing empty seat in a good E+ layout. If they want 1st have 3 or so rows at 1-2-1. But every airline have its own priorities. You like the 767 seating? Wait until your preferred airline orders the 767 in the economic 2-4-2 arrangement. I also doubt that Boeing can ramp up production of the passenger version cheaper than Airbus can offer the A330Regional. It would make sense to replace older 767 with new ones to keep the gate size and pilots. On the other side the 767 offers not so much more seats in 2-3-2 (290) than an A321 (230). Maybe just distracting news from Boeing to keep the focus away the C-Series debacle. If Al Baker wants it Boeing will build it? 1st of all, max seat count for a 321 is 240, not 230. 2ndly, I’m guessing the same writer, by the same token, would also believe a 35K “offers not so much more seats” than a 359 and by definition, Airbus developing 35K fm the 359 is a waste of time & EUR….. Does anyone fly an A321 with 240? Shorter range dense pack vs longer range nicer? I flew a 767, seemed nicer than a 747. Also a rare L1011 I like a lot. The A330neos two versions, the A330-800 and A330-900, will accommodate 257 and 287 passengers, in a three-class configuration. This capacity gives Airbus an available aircraft that sits at the upper size range of an eventual Boeing 797 (MOM-NMA). With the A321neo and the A330neo, Airbus doesn’t have a gaping hole in its lineup. Meanwhile, Boeing is taking its time evaluating the 797. If they want to restart the 767 production line as a stopgap, they will have to update some aspects of it, such as overhead bins. Which makes the 788 being closer to the 797 than the 338. Regardless of the diff cabin config methodologies Airbus vs Boeing to yield their nominal/brochure seat count data, usable cabin floor area of a 788 is a bit smaller than a 338. With the Max10 and the 788, Boeing doesn’t have a gaping hole in its lineup. If 788 and 338 are more or less considered as equal products marking the hi-end of that gaping hole, Boeing sold over 70 frames of 788 for every 1 frame of 338 sold by Airbus…. 1. a B788 is optimized for way to long journeys. It loses a lot of it’s efficency advantage when cruise is limited. 2. B737-10 max is still 10pax short of A321neo with a shorter fuselage and less range. It’s Boeings desperation move not to loose customers to A321neo. B787-8 and A332/A338neo are same size. B788 is 56,8m and A332 iis 58,8m, so 2m dif. in lenght but B788 has wider fuselage, allowing 3-3-3 Y. Market moved, tending to biger B789 A333/9neo and A359. It is right that Boeing sold a lot more B788 than Airbus A338neo. But did Boeing made any money? And is this a sensfull comparison? Count A330 programm in total against B787, it's not too bad, still it's a win for Boeing. Actually, the 767 assembly line has never been stopped for military/freighter variants. Even for the pax variant, production on that same line was stopped only 4yrs ago when the last 763ER was delivered to Uzbekistan Airways and no more outstanding order on backlog. Interestingly, I found nothing wrong with the design of the overhead bins among 763ERs produced over the past 10yrs. That design is basically a smaller variant of the 777 overhead bins with the same pivot-down mechanism+curvy exterior panels. I fly on these final production 763ERs with NH(Last 1 delivered to NH in 2012) @ least once a yr so I’m familiar with that cabin design. Their 767 overhead bins are far superior to the ones on 330Ceo(I also fly this often with CX) which hinge upward. May be U are talking about the overhead bin design on 767s built 20~25yrs ago. Yes, I am referring to my experience flying on older Air Canada’s 767. Last spring I went to Europe with AC, going on A330 and coming back on B767. The B767’s cabin was clearly a step below the A330’s. I especially noted the smaller overhead bins. Pretty sure U would agree that if Boeing restart 767 pax production, parts for overhead bins installation on that assembly line won’t possibly be a copy of the ones U used “on older Air Canada’s 767”. The youngest 767 in AC fleet today left the Everett assembly line 27yrs ago. In contrast, the 767 overhead bins I hv used in recent yrs are on 767s built within the last 10yrs. And by now, may be we can regard 767 cabin std clearly depends of specific operator and particularly what vintage instead of blanket conclusion like “B767’s cabin was clearly a step below the A330’s”? Elsewhere rumors “on more than just new engines for the 767” surfaced. If that has a smidgen of substance the MOM as a fresh design is as dead as the NSA. I wonder where that “Elsewhere” could possibly be…. FLX I know this off topic, but wonder if there is a Donald Trump voice option for GPS now? Think of Boeing’s pilot less aircraft, sure Boeing will use Mr.T’s voice as Captain, don’t scream or you will be dragged off by my security forces, remember no medical benefits in this country, etc…….. I don’t think they are talking new engines. That would make it at least 5 years away. Get the best most efficient current engine, winglets with the Scimitar shape and drop down ala the new ones or the MD-11, clean up what you can and lete er rip. But is there a new modern engine to retrofit a B767? GEnx / Trent 1000/7000 about 300kN. Put a B788 engine under a B763er? That’s the crux on a MOM, no enginge no program, as you may need a 200-230kN engine. It’s easy to forget that every OEM in the last decade bet the house on high fuel prices which have not been around since 2014. To back this up, look at sales over the last couple of years. Yes, all these new technology platforms have very efficient engines — when they work — but from a maintenance cost standpoint they are also more expensive than their predecessors (by virtue of their fancy materials that usually require replacement rather than refurbishment) and a lot heavier too. That is the big elephant in the room that every engine OEM will try and cloak with increasingly surreal marketing. And when you really try and interrogate the data you will hear, at best, as barrage of soundbites. The engines on the latest GE CF6-80C2-powered 767s already incorporate hardware found in the CF6-80E1 on the A330 — particularly in the hot section. With oil <$80/barrel they are hardly "gas guzzlers" and, perhaps most importantly, consider how much lower the DOC of a new 767 today would be vs. its more modern counterparts. The CF6-80E1 is on the A330ceo, not the A330neo, which has RR Trent 1700’s. There is quite a bit of technology difference between those two. (I know the CF6 well, my first job as an aero-engine engineer was post cert development on it). The elephant in the room is that about 65pc of Americans believe in global warming, and that number is probably rising with each hurricane. IMO only a matter of time before a carbon tax appears in some form. What we say and where we are willing to put our money are two different things. That same 65% is buying big rigs again. With the large freighter fleet and the tanker, I think new passenger versions will hold their value for resale, conversions, or parts. According to the Puget Sound Business Journal article at the link below, Boeing is asking employees and suppliers if they can support a quick doubling of the 767 production rate in order to win a big order. Sales rumors mentioned include 50 to 100 aircraft to United Continental, and 100 freighters for Amazon. “Boeing is urgently weighing plans to double 767 production in Everett, the Puget Sound Business Journal has learned. According to the Seattle Times article at the link below, after five years of job reductions, and pay and benefit cutbacks in Washington state, Boeing is suddenly paying bonuses to lure retired workers back to the production line, “right away to help with immediate needs”. Sounds like a very badly kept secret, or Boeing has something really tricky up their sleeve. I wonder how many of these retired mechanics will take up the offer. There can’t be that much good will with what Boeing has been pulling off there lately. Or maybe they are just that desperate for some extra cash. You look at your situation, does the money do you any good or is it a wash (higher taxes) and then off you go or not. Obviously not a secret but you can’t keep it under wraps if you wanted to. I just noticed that there was a “Show Full Article” button at the bottom of a picture at the bottom of the Puget Sound Business Journal article that I posted a link to above, which reported that, according to three unnamed sources and a Boeing document that the reporter had seen, Boeing was studying 767 production rate increases. The following quote is from the part of the article that was revealed when I clicked the “Show Full Article”button. After that, Boeing’s tentative plans call for a rate reduction to three per month by January 2025 and to two per month by June 2025. Boeing’s strategy is to give United new widebodies fast at attractive prices to modernize its aging fleet until Boeing’s more advanced mid-sized 797 is available, the sources said. That could prevent an airline like United from buying airplanes from rival Airbus. The 767 might even be modernized with composite wings and new engines to improve fuel efficiency and lower operating costs, the sources said. In view of the above quote, what I had described as a quick doubling of the 767 production rate in my post with the link to the article, would more accurately be described as an incremental doubling of the production rate over the next three years. By my math, a production rate of three 767’s per month for the entire year of 2020, four per month for years 2021 through 2024, and 2.5 per month during the first 6 months of 2025, a somewhat simplified version of the proposed schedule reported in the article, would result in 111 more aircraft being produced in years 2020 through 2025 than would be the case if a constant production rate of 2 aircraft per year was maintained during these years. Got to love the details. Other than the composite wing that’s spot on. It also would not have an ROI. I would think Amazon would go with BCF, but as FedEx is buying freighters they may piggy back on a good deal. The 767 need lots of updates to get close to the A330ceo. Airbus has improved it continiously while the 767 has not got the same updates. One would think the USAF had paid for all similar updates useful for Airlines when they did the 767-2C that are modified to the KC-46 but not, just some like the cockpit. Most Airlines has made the 767 to A330 swap already except for UAL. The 787 is a different animal with much longer range. How much will it cost to get the 787-8 a smaller, lighter wing going from a span of 60m to 50m (now CAT-D) and surface area from ~380 to 310. Reduce MTOW to 200-210T and range to 6000NM. Both RR and GE have 58KLb engines that could be used. ….or do they want to take pressure of the 787 production line and/or realized that a 797 will not be in time for 767 replacements. As someone on here told me when I said the 737NG has a new wing compared to the classic (to which they said, it WASN’T a new wing, even though it was) I’m going to say that the A330NEO doesn’t have a new wing, either. A330NEO does not have a new wing, but it does have significant modifications. Problem with the 737 nomenclatures is the classis should be the original one, then all subsequent should be by series. The 700-800-900 were the first that cold be called a new wing. I would call one an A330 NEO type modification and the other a new wing. Visually the NG wing was vastly different and cleaned up. @ Claes: All it needs is a low cost and the right market. One wonders if UA has suddenly realized that the 767 works really, really well in LOPA (layout of passenger accoms) for the new Polaris business cabin. They’re moving from a very 90s arrangement of 2-1-2 to a highly competitive 1-1-1 direct-aisle ‘suite’ like setup. The 767 cross-section makes very good use of the seat module width. And with only a modest amount of economy-packing, keeping Y at 31″ pitch, and (regrettably) drops Y+ from 35 to 34″ (and overall 135/49 goes to 138/46 Y/Y+). *If* rumors are true that UA is looking at 50 new 763s, I would think United feels confident that they can price the new Polaris product very well on Atlantic flights. I would like to see a A350-2000 with four 60KLB ultra fans that can take “short-cut” over water with no ETOPS restrictions, who needs an 777-9? As usual by U, totally & completely off-topic…. Yes, but the craziness of it is appealing! I don’t think the ETOPs slight needs is of a magnitude to have such a massive change. And the wing would have to be all new for a program just getting going. Next up, reviving the 727. Better subtract 20 from that number. Ha ha. We all loved flying in the 2 3 2 seating of the 767, that’s why we are all 767 fanboys, but I don’t see it making a comeback, unless it’s with 2 4 2 seating, and then DL will reply with 3 3 3 in A330s, and the Bus will kill it again. Amazon makes more sense. Regarding 2-3-2 seating on 767’s, almost all of my flying is on the US big 3, and I have yet to see any of their 767’s with anything other than 2-3-2 in economy. Here is a link to Delta’s fleet page, which has seat maps for all of their aircraft types. All of the 767 seat maps have 2-3-2 in economy. Here is a link to United’s 767 seat maps, all have 2-3-2 in economy. American had seating tables instead of maps on their website, so I can’t say for sure that they don’t presently have 2-4-2 in economy on 767’s. 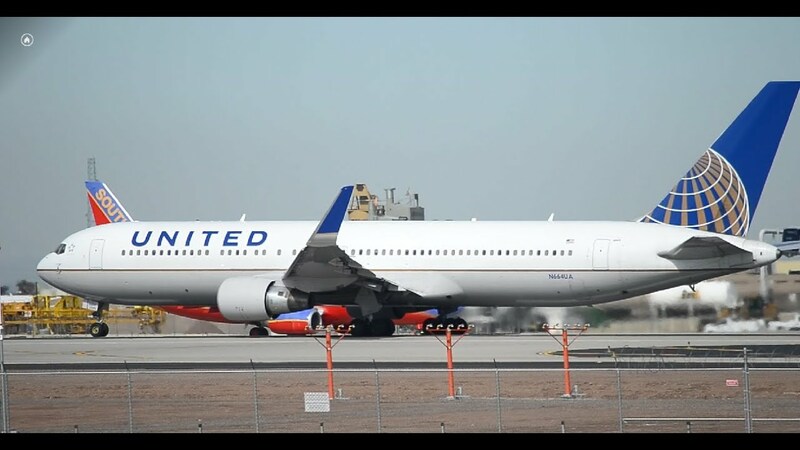 According to the article at the link below, United, who is the subject of new 767 order rumors, is currently replacing 17.9 inch wide economy seats on 14 of it’s 767’s with 18.5 inch wide economy seats. Love 2 3 2 on the 767, but as I recall 2 4 2 exists, unfortunately I think any new 767 would get it, only way it can compete, and if that works in the market 3 3 3 will soon be on all US A330s, beating both 767 and 787 casm. It only takes one airline to do it (UA apparently) and they all will do it. My flights were so long ago I don’t remember the seating. 4 in the middle really is not a big deal me thinks, you only have to get over one Pax and not two per 3 on the side. I can’t even remember who I flew with. United or American – I would think United. Late 90s sometime. I have flown AA and US 767’s and all were 2-3-2. Can’t imagine another seat and what that would do to the aisles. @Darth: Its a bit too dated, sorry. Kind of like bringing back the 737 tube engines. Loved the thrust reverses on those. It may be quite a large hole at the moment, but with the CS series discussions we’ve been having over the last couple of days it’s pretty clear Airbus has the opportunity of squashing that gap with a speculative ‘A322’. How the 767/797 will fit in and compare economically to an A322/ A330neo combination is probably more the case. It may be that Airbus has already killed off the 797 for Boeing, to make offering a hardly warmed up 767 offering the only real option for them, and that’s not a great answer either. But as stated before, it brings some quick bucks in for the short term gain of shareholders who are running the show. And with the equally speculative 797, everyone will be back to the same status quo in terms of relative mkt space coverage by product in the longrun…. 1st of all, why the 767 is in that equation? It’s supposed to be a temp stop gap to be replaced by 797 eventually by all indications(even the performance+size specs are similar per relevant leehamnews.com articles published earlier). 2ndly, if the 330Neo(assuming 338) is in yr equation, how come the 787(assuming 788) is not in that equation? By logic if U put 322/330Neo on 1 side, 797/787 has to be on the other side. So Boeing has been doing the bull…. thing again, the “797” is actually an NSA (wider seats and aisle) starting with a 230 seat long ranger with 40KLb engines (757-200+). The 767MAX300 is to fill the gap between the 797 and 787-8? The MAX10 will fill the gap between the MAX8 and 797? Actually not stupid?! I think you are correct that the B797 is going to follow much of the B767 dimensions. The B787 tried that the first time but became too much of a plane as the ambition to extend range and capacity beyond the A330 became too much. I also see your point regarding the B767 rebirth as very much a stopgap, ie Boeing are selling B767 now selling on the commonality to existing operators with either an implied or explicit guarantee that in 2027 the B797 will be available as a replacement. The C Series hurts Boeing down low. The 757-300 tried that long skinny route and it did not sell all that well. Its the best response Airbus can do, but like Boeing trying to beat the C Series, it falls short. So yes some existing operators it will work for, some not and other operators that run both A and B likely would love it. A bit worrying that LNC are suggesting that a profit on a 2000 market is now questionable! In a sense it exposes the failure of the 787-8. I wonder how much better than the 767 it really is. 20%. What they said to have said all along. comes down to better engines and the intrinsic advantage of a higher capacity airframe. I hv a hard time categorizing 788, with 423units sold and actually still being sold this yr, as a failure in whatever sense. If 788 can somehow be described as a failure for the MoM mkt space, then logically, the 338 has to be an even grander failure for that same space. “I wonder how much better than the 767 it really is. How much better than the 359 really is better than the 333Ceo? It comes down to better engines and the intrinsic advantage of a higher capacity airframe. Don’t forget Airbus billed 350 as the 330 replacement for 8yrs until 330Neo came along in Jul2014. Well Boeing hates the 787-8. Its only about 30% in common with the -9 and -10. Going forward if it keeps selling Boeing may have to make it one common airframe so make it work and or if enough market continues, sell it and make money with it. I find the 767 one of the blandest designs there is. Like the manifestation of the stock photo for “aircraft”. Mind you, not ugly (unlike the 737… what a hideous nose! ), but without any personality. My favorite is the 757 (with PW2000, not RB211), but the 777 is pretty too and the 747 is awesome. My favorite is also the 757. The one flown by Air Trump . Very comfortable . I not sure I was talking about how pretty an airplane is. @BenBen: Who cares, the A380 is downright ugly but it works fine. As long as it flies good and does the job, looks are overated. That said its a bit spiffier with winglets. Get the lastest schimeter drop down type and walla, the Princess Emeges so you can have yo7ur cake and eat it to. Noise is irritation, I don’t think it affect an airplane appearance. Both the 767 and 757 sold over a 1000. Yes the old product line is cheap, but Boeing can’t at present make a buck with either the old or new oroduct lines. Regarding: “Boeing can’t at present make a buck with either the old or new product lines”; in the post from 7-27-17 at the link below, Bjorn Fehrm cited the payback per 787 delivered as 11 million USD per aircraft in 1Q2017, which improved to 16 million USD per aircraft delivered in 2Q2017. A payback of 16 million USD per aircraft delivered gives 2.3 billion per year of positive cash flow at a production rate of 12 aircraft per year, and 2.7 billion USD per year at a production rate of 14 aircraft per year. According to Mr. Fehrm’s post, remaining deferred costs for the 787 program were 26.5 billion USD, which could be paid off in about ten years at the present production rate (my math here not his), even if there were no further improvement in payback per aircraft delivered. If you have a paysite subscription take a look at Mr. Fehrm’s final conclusion as to whether Boeing will be able to payback the deferred costs by the end of the accounting block. Since it is paywall article I won’t quote his conclusion, but will say that he didn’t conclude that Boeing will never pay back the deferred costs as is commonly stated in comments on this site, and which used to be the opinion of the editors of the site. For those who don’t have a paid subscription, I think that the bullet point below from the free article summary, will give you the general flavor of Mr. Fehrm’ conclusions. Keep in mind that payback for aircraft delivered should be better for 787-10’s than for 787-9’s or 8’s,and 787-10 deliveries have not yet started. Phillip: The A350 is barley in production and its reaching the long paid for A330 costs to build? That does not account for the major changes after number 17. If you believe that I have a bride in Brooklyn I would just love to sell you. Only slightly used. Keep dreaming. That’s all you have left! Seriously we keep being told nobody does it better than Boeing! Can you prove that? The US Government didn’t when they went after Bombarbier! @Phillip: Well due to US tax laws, Boeing is making a killing. I believe its 2 to 4 billion a year in shareholder buy back. Extend the 787 to 200o accounting block and maybe it does pay back. But as Boeing can kick the costs down the tax road, new project is tax free. You really need to read better. I am not saying Boeing is the end all and be all. They certainly have their warts. They also make good aircraft. Please be advised that selling of human beings has been against the law in the United States since the ratification of the 13th amendment to the US Constitution in December 1865. I would suggest hat you find something else to sell in Brooklyn. Perhaps a bridge? Just a correction on the A350. I didn’t say an A350 costs no more than an A330. I said it is heading in that direction. 2. The cost of production is coming down, but then they used panels, frames and spars so the build techniques for carbon are that different to metal. 3. The industrial base is there to increase production. To go after Bombardier, though, was just plain nasty. US law does give Boeing a leg up. The difference between us is I think they are wasting the leg up. Specifically vast amounts of US taxpayers money is being used but their market share is declining and will continue to decline unless they make changes. But to make changes you must first accept something is wrong. Transworld, as you said, Boeing are arrogant; everybody bar them is wrong. Consequence, their market share will decline. If Boeing could increase the MTOW of the 787-10 with a HGW version by around 8-10T it could have a range of ~7000Nm, which will be very similar to an 777-200ER. This could have a definite impact on the 359 sales? Wonder what AA is looking for as 777-200ER replacement. Think we could see significant 787-10 order/s at Dubai? With regard to raising the MTOW of the 787-10. It’s the wing, 377 v 442 sq metre for the A350. With 81K version of the Trent 1000 TEN it will get off the ground, but the angle of attack for the purpose of producing the lift will incur a substantial drag penalty. The wing limits of the 787-10 was also my take when I heard these rumors. Not sure what bunny Boeing can pull out of the hat on this? 757 sold 1050 frames and 767 sold 1103 frames. And I think there is still around 1400 between them in service? Let’s hope that Boeing is not so desperate as to really “max” the 767. Though the size may be about right, its design, aerodynamics and construction are completely outdated. It’s certainly only what has been reported: One or two customer asking for a few urgent replacements and additions, and Boeing is willing to sell them at cost price, if only to prevent more A330-200 or -800 sales to old Boeing customers. There is no future for the 767 at all besides that. My feeling is that Boeing now sees that they’ve made a mistake with the 777X when they decided not to go for a carbon body. But they also don’t want to repeat the mistake with the barrel design of the 787, which is certainly too expensive for the prospect 797. Guess how sales and management will respond when the R&D guys present their solution to look very much like the CFRP-panel design of Airbus? In a not so far away future we will probably see the body made from only 2 parts. The best idea that I have so far is a huge 2-piece mould with one open end (nose or tail section) in which you lay up the skin from the inside. Then install a giant tube, close the whole thing, pump it up from the inside and heat the mould from the outside. After curing you can install all internals etc. This way you really get the best out of the “endless” carbon fibers and a low resin content plus a perfect shape and surface quality. Well, of course there are many obstacles that must be overcome, but the MOM would be a perfect candidate to develop this kind of design. It would also give the engine makers ample time to get a larger geared turbine done. If something like this is the agenda of Boeing, then making some more 767-300ER might indeed make sense, as it requires no R&D capacities. Well it flies nicely, so me thinks outdated is a bit harsh. State of the art? No. My old CPM computer ran into the latter 90s before I had to replace it. Other than the fact it would not do internet it was great. As someone once said, if it does what you need then its not outdated. So what we are talking about is snap together model airplane kits. And we can get downsized workers to put all the itty bitty parts in there, then soak it until it swells up to a real airplane. It would be interesting to do a future aircraft type sales/need impact analysis for the community if the oil price was staying low in the foreseeable future (10-20-30 years). There are good tidbits in the above comments around such impacts. Aside from the renewables, EV switch, fuel economy laws, and knowing our current President is more of a momentary aberration than a sign of things to come environment-wise, the real problem for the oil industry is….. itself. – Oil & Gas…. is everywhere. Literally. There are new types of reserves littering ‘one’s backyards’. Now dramatically easier to bring online. – Cost to retrieve a barrel of oil / produce gas is falling constantly long term. Only the dramatic incompetence (pick your type) of a number of countries (Ven., Arg., Rus., Lyb., Nig., Kaz., etc.) is holding price down. E.g., Arg. in many areas is just one big shale formation. Massive. But too eco. disorganized (let’s lead it at that) to take advantage of it. I have exposure to a few key folks in the industry (core exploration/production services) and 35+ years of on/off experience in its tech. So if fuel costs remain low for real (bar some war driven spikes that are local/temporary)…. what happens? Why get a $$ 777x/A350/787… or otherwise if i can get a cheap 20y old design? Of course, there are many factors. But Delta seems to have understood that given they love older airframes. And are one of the most profitable. Should we refurbish the 767 line indeed? 🙂 20% gain for a 787? why should we? If a gallon remains cheap and i get the plane for 60% of the 787 price? i meant above “Only the dramatic incompetence (pick your type) of a number of countries (Ven., Arg., Rus., Lyb., Nig., Kaz., etc.) is holding price **UP**. Price of oil is going up, it may be more in the 70 to 90 range in a year. With a couple of major new orders for 787’s Boeing can ran into supply/backlog problems, realizing that 14/mo is near to a max for them. This could be a move not to lose sales to the 330NEOs’, especially they don’t want to see the 330-800 to come out of hibernation. An 8200Nm 338 could be real a threat to them as is potential lighter shorter range versions of the 332 size? For sure Airbus is going to produce the -800, why would they do a test-vehicle otherwise? Also, there is no extra new tooling or whatever, as all the new parts (pylons, wing extensions, etc.) are identical to the -900. So even if they sell only a small number, it will be worth to make it. The -800 is one reason the business case for the MOM is to tight. It’s too late for Airbus not to anyway. Whether production goes beyond that single prototype +8 frames for HA + hopefully 8 more for OZ(If they managed to finally convince the Koreans to officially ditch 358) is a diff story…. Absolutely. It’s like buying a happy meal and U get a toy for free regardless of whether U want to bring that stuffed cute animal home or not. The 788 logically has to be the other reason the biz case for the MoM is tight…. Since 330Neo program launch in Jul2014, 338 has sold 8 net while 788 has sold 23 net. The -800 is the business case for the MOM, it’s mostly a giant freighter. Take about 3/4 of the passengers, leave half the freight that doesn’t pay its way in the sky, and a lighter aircraft emerges with cheaper seat miles. No the A330-800 is NOT a reason the case for the NMA is tight. Its an overweight non optimized A330-900. You don’t need freight and you need to have single aisle price in a mini wide body. That’s kind of like ramping my Passat to run the Indy 500. It takes a whole new approach, it takes massive economics of production efficiency and a new very efficient engine. In short its a Corvette (NMA) vs a hand built Testerosa (A330) . Call the A321XLT a Viper. A330 of any shape or form is just two heavy and fuel sucking. I don’t say Boeing can do it, Lehman is highly skeptical. If they can nothing will touch it. A321XLT then becomes the 737-10. Offers some competition but not fully. Boeing has been asking ALL Tier1 787 supply chains to prepare for potentially scaling to 14/mth rate(Some even 16/mth) for 2~3yrs must be news to U…..
I’m guessing Boeing going to 14/mth rate for 787 totally unprepared & potentially heading into a disaster may sound better for U to accept….for whatever agenda U hv. 1st of all, it’ll equally be a real threat to the 359. 2ndly, the biggest obstacle to more 338 sales has never been about lack of range….it has plenty and comparable to 788 all along. It’s the relative lack of fuel efficiency against 339 and the 788 face the same problem against 789….trip cost is too similar between small and large so buyers go for large even if it means carrying some empty seats(but @ no extra fuel cost) most of the time. How? On paper only to save landing fees? That’s known as paper de-rated MTOW which Airbus has already done in the past e.g. in a QF deal. U honestly believe Boeing has not done similar paper-derated trick to sell more 788/789? Look no further than that huge 787 domestic fleet @ NH to get a clue….even the latest deliveries of these hv the lowest thrust Trent1000 versions possible not by accident…. If Boeing goes to rate 14 on the 787, they will have their ducks in a row. Its not the program start, its a mature one. Large orders have nothing to do with it. This is a long planned possibility (certainty at one time) – its not a panic move. The A339 and 789 are basically the same size: 60m plus wing , 70K engines, 250t MTOW, 772ER replacements. The 767 is smaller 48 m wing, 60K engines, and 185 MTOW. The 767-300ER is 3/4 the size of the next aircraft up. What’s the point of unused size and range? The A330 killed the 767 because it cost the same and burns less fuel while at the same time flies more seat that might still fill up on occasion. The additional range can come in handy in case you want to open a new thin long haul destination. So why NOT buy the extra size and range if at the same time you safe cost? What’s the production cost of a current A338neo and a 763ER? What’s the trip cost at 4,000nm of a full 767 and a 3/4 full A330? I think the economics still tip to the 767. I am definitely not an expert, but seems that an 338 and 763ER could have fairly similar sector costs over 2500-4000Nm, but due to extra pax the 338 is the seat mile cost winner and engine on wing time will also be much better? For an 767MAX300 to work they will need new engines that give them 10-15% better seat mile consumption than the current? From what I’ve heard the A330 was even a little cheaper to produce than the 767. Don’t know about the maintenance cost but guess they are very similar. Fuel cost lower on the 330. Of course the NEO is a little more expensive now, as are the engines, but with even lower fuel cost that’ll pay of quickly. So no, the economics are certainly better for the A330 in pretty much any aspect. And from what I’ve heard the 767 is way cheaper to produce than the cheapest 330…..thx mainly to program development cost fully amortized a long time ago well before the 1st 332 was delivered & started generating cash for 330 program in 1998. We can play this game all day right here anytime…. And if your route does not have the pax number required to fill the aircraft? Then you are flying a larger heavier higher fuel burn. One of the cost pluses for the 767T vs the A330T was the lower fuel use. While the engines are more efficient now, they are also heavier and the payoff is longer range, not short hops. Short hops work for the A330CEO in China much like Japan due to capacity issues. How long that last with high speed rail in China is a whole different story. U must be joking if U believe a brand new 330Ceo, even just a 332, would cost only US$60~70m to buy like the 763ER mkt deals as reported by leehamnews.com right here. The additional range of 332(over 763ER) and therefore structural weight to support extra fuel for long missions can come in as handicap in case all U want is no more than 8~9hrs typical Trans-N.Atl sectors…..there’s a reason we see so many 333s(even 763/764ER) deployed on Trans-Atl routes for yrs but not 332. If buy 333 instead of 763ER, no diff in range performance and U do get significant reduction in fuel burn per seat but we are talking about a 30% jump in seat count….a totally diff ball game fm the MoM/767 type mkt size. You also have a built in production support that you don’t have to pay for in the 767T and the 767F FedEx is buying. Unless you’re looking for massive range or freight, basically the choice is an A321, a 767-300ER in between, or an A330-900. We’ll see what happens. Yes we will, that applies to some other things, well actually all things. One aspect of this I don’t think has been covered. The new specs for the A330neo will give the 787-8/9 a good run for their money. The race will begin in earnest if the NMA drops out of the race. The 767-300ER with new engines/new wings would have been a better way to spend $8.7b in tax breaks. But for me the NMA as suggested at farnborough. Boeing need to crack carbon or the competition will leave them behind. I hate to burst a bubble, but Uncle Sam is not paying a relative arm and a leg. Boeing under bid Airbus by 10%. The USAF is getting a bargain. You don’t seem to get that the costs are not the air frame, its the mods to make it into a tanker. That’s probably equal for a 767 or an A330. There are a LOT of mods. But the 767 airframe is lower cost, its more fuel efficient with a smaller engine that puts out less thrust. And Airbus is not taking advantage of the A330 production line for the A330MRT? Of course they are. The numbers also help the cost of the A330. Rattled yes, tantrum? Citation missing the same as A350 costs getting close to A330! No question Boeing screwed up on the C series. All companies run into problems. Airbus has done a generally good job in the current iteration, but its also not perfect. Who picked the engine support system for the PW engine? A350 is struggling due to supplier issues. That’s the same lack of oversight that Boeing had on the 787 on a smaller scale (but still a bit impact). And they saw what happened to Boeing. There is no total victory. The 737-10 is an ok gap filler but its not a full answer to the A321. Resources are limited, you can’t have the perfect answer everywhere at all times, otherwise you go broke. I am not all Boeing nor against Airbus. I try to call it as balanced as I can. Do I care more about Boeing than Airbus, sure. Its one of our icons. Am I ignoring their faults, no. do I hope they change for the better, yes. You persist in thinking that Boeings problem are everybody else’s problems. They are not. The market will speak and is speaking. 55/45 in favour of Airbus. But Airbus are restricted by production. Expect 60/40 then 65/35 unless Boeing learn their lessons. All is not well at Airbus? A tanker brings on average about 2/3 of it fuel back. Even at long range missions the KC46 can do its job, and make it home. An A330 doing the same mission full, has to lift that fuel and burn fuel to carry it. The A330 is also a larger airframe and it weighs more. That’s why the 767 fuel cost assessment when it was made to be done right, was hugely less than an A330. There is less structure to a 767 so it cost less. Airbus cut it to the bone and Boeing still clobbered them by 10%. That’s huge in the bidding world. The thing about “A tanker brings on average about 2/3 of it fuel back.” Is about safty margin for mission planning. The concept for the new tankers was all can be refueled so the tanker heading home would be able to refuel the incoming tanker. So the amount of is not related to required tanker size. Due to ferry range of a KC-135 2/3 of fuel load carried back is a flying time of just 7 hours without any fuel offloaded at all. What about trailing some F-35s to Guam from the US (5,000 nm)? Distance from Guam to South Korea is 1,500 nm. At a refueling distance of 1,000 nm the old A330 (MTOW 233t) was able to offload 30% more fuel. The latest version will have an MTOW OF 250 t. This equals about 50% more to offload in the ceo version. The so called assessment was biased by assuming more than 7 touch&go maneuvers on any flight. Also the primary mission for the KC-X will not be refueling. It will be cargo delivery. Cargo missions from the US to e.g. Iraq or Afghanistan with typical palletized cargo were not assessed. No, the basic setup is part of the program costs. Any special mods are per Government requirements. I have no idea if Australia had special or not per the same with the UK. I do know no version of the A330MRT is comparable to the KC46 setup. Airbus is now offering upgrades to come close to it if not match it. As I don’t know what those specific US specs are, I can’t say how close they can or will come. How do you think we are keeping the birds in the air with a KC135R? I suspect this renewed interest in the 767 means that any MOM which sees production will be some sort of 767 derivative. They need all their resourses for a new NB now that AB have the ability to field a CS500 in the 737-8 market. No, the 767 is a gap filler. Roll on, 767, roll on. I suspect Boeing had two designs for the “797”, an 2-3-2 and large NSA. The 787’s are doing well as is the MAX8, Boeing’s biggest weakness is in the 180-230 seat class. Its likely that they have decided to go for the NSA with possibly a significant wider cabin/fuselage (MC21?). The 40KLb thrust requirement rumored will then make sense. If AB doesn’t make serious changes with the 322 the 797 could outperform it by significant margins. This could land up like another 789 – 330NEO situation and we know which is selling the best. Therefore the requirement for the re-birth of the 767-300ER which I think was part of the plan if they go for the “wide bodied” NSA and not a new small twin-aisle? So two birds with one stone, will be impressed if this is their plan. Also, think Boeing’s plans was to produce the MAX8 for still a very long time that’s why they trying to kill the CS because an CS500 could do big damage at the bottom of the 737 family. I think the 767 will be a gap filler, freighter orders and the tanker. No major mods to he 767, just a cleaned up a bit, winglets top and bottom. May not even get the 787 cockpit. FedEx is taking the old cockpit. NMA will be what hey said it would be. A lot of comments about new engines and wing, one reference to that in a report but not Leeham. And it makes no sense for a near term orders and if its not a long term (cause it would take 3 to 5 years for wings and engine) production hull then it makes no sense in the long term. Its an as is with whatever low cost cleanup and winglets can be done and one of the off the shelf variants. Relevant would be which engine is the lowest operating cost engine (fuel burn and maint/overhaul)? Air Canada’s 767’s are up to 28 years old, there must be a reason why they kept them that long. What’s the breakeven accounting block on the A330neo, 250 units? Or the fly by wire 777x, 500 units? Since the return on these programs is not even a given as of today, any talk of putting new engines or wings on the non fly by wire 767 is preposterous. I would guess the A330NEO at 200 units but that’s supported by nothing other than a feel/opinion. 777X, 300 – 400 but have not followed the cost involved. One thing is certain, FLX is going to have fun tomorrow morning. Is this a further indication of a revamped 767 with MHI involvement? Maybe, maybe not. Boeing badly needs to reduce costs on the 787 regardless. Another 100 fuselage sections is not that much of a lure I would think as its not an on going product, short spike and then back to lower rates. The only thing I see changing that would be an upsurge in F orders. As ANA and JAL are retiring a lot of 767s and they would be prime for conversion to an F, again hard telling. Usually a mix. And how is UPS fixed? They snagged 747-8F slots, 767F need more? A300/310 is out of production and the A330F is not selling. Lots of balls flying around and have to see where they start to settle out. Transworld you seems to have a realistic open mind, whats your take on the 797? A new small twin aisle or 757-200 size wider cabin single aisle as start of an NSA family. If Boeing wants to gain more ground my call is an NSA to knock the 321/321+/322, this could really mess up AB. Boeing has effectively no real competition in the 230-290 seat market, why introduce a fourth twin aisle fuselage (assuming the 767 lives on a bit longer?). (I kinda start liking the look of the MC21). Anton: I think we need to go with what Boeing is proposing. A mini wide aisle. It seems happy to hold their own for now, as was noted, Airbus is production constrained or it would be far worse. It would take huge bucks to ramp up to beat Boeing at the sale ratio (and for suppliers to ramp up) and then have it drop off? Its not like cars or toasters, nightmare to mange the whole thing. “Another 100 fuselage sections” is 100 less sold by Airbus. I would imagine the 747-8I’s that were sold were lost sales for the A380. Even if at first its only UA showing interest, a few more sales may happen due to being the right size for the mission, low price, and a short waiting time. Wonder if there have been upgrades, PIP’s on the 767 engines that would show improved fuel burn numbers? I am not so sure those lost sales were not the 777s vs the A380. Maybe not all, but some. a) tons of new or used A330 that killed B767 are available even for small money? c) even used B767 are available? Why should anybody order a plane with a construction from late 70ies/early 80ties which is just alive due to US military subvention (yeah, A330 was the better basis for KC 46) and a lucky circumstance, the Fed Ex order as it’s the fitting aircraft for it’s base? Whatever Boeing is doing, it just looks more desperate as Boeing doesn’t have any answer for A321neo and A330 in MOM. Even B737-10max is just desperation. As bad as the 767 may be, there is still a market for aircraft between 100t and 250t, or 36m wing and 64m wing, or A321 seat area and A339 seat area. The 767-300ER is the only aircraft available on short notice. All other NMA will be 8 years minimum until entry in service. The A330 is no NMA, it is about the same size as a 789 or A359, and maybe it will gain some of that market. Airbus can build a NMA just as easily as Boeing. All it requires is a 45m to 50m CFRP wing and new 45K engines from someone. Until that day, the 767-300ER lives. Well Airbus has not put the research into this that Boeing did. That’s why Boeing had such a jump (squandered) with the 787. I continue to be amazed that the twizzle stick build system Airbus came up with as a response actually worked as well (from what Bjorn says its a wash) that the Boeing system did. It did take them some time go figure it out and get going with it. Long term Boeing may have some maint advantage as the A350 nose is aluminum and you have corrosion inspector and alleviations aspects of the 767/A330 not an all (correctly done of course) CFRP. And the 767 with Winglets and tweaks is a pretty good bird. The reality is its getting harder and harder to get a jump advantage. Diminishing law of returns. Hit the limit of reality. Kind of like my Passat, you can only do so much to get 40 MPG on the highway. Passat still beats it all hollow for handling and comfort. @Sash: First, keep in mind that the USAF is serving its needs with the even less capable KC135Rs. The KC46 is a step up (fairly large one) and what really counts in tanking is numbers not capability. The US has something like 450 or more scattered all around the world. Some are for deployment purposes (Spain) where they go up and out, fuel the passer through and back to Spain. There are squadrons like that all over the world and then the regional ones that sustain the fight against ISIS. Then there is another chunk station around the US that service the training needs of the various fighter and bomber commands as well as Red Flag. Some could possibly use a A330MRT (KC10) but on average smaller loads and more aircraft work better. What you don’t seem aware of as well is that the KC46 is got systems and equipment in it that the standard A330MRT does not have. You see Airbus starting to offer add ons now to get it in the vicinity. Along with the ability to take damage and EMP, the KC46 can act as a control center in its area. The US would likely benefit from A330MRT for the KC10 missions and leave the KC46s to the combat zones. The USAF is now talking about keeping the KC135s flying and adding the KC46. I do agree the MAX10 was desperation but its worked as least as a stop gap. I would think a A321 is vastly preferable but ? As for new vs used, there is a complex formula that goes into the whole aspect. First you get a brand new warranty, 5 years at least on single aisle, never read what twins are. Then you have a new shiny aircraft that is more fuel efficient and has a full airframe life left in it. Conversions to freighters are not cheap and they aren’t as good as a true freighter . The study for a 777BCF had it matching an MD11 on range but could not fly the longer routes the 777F can with no restrictions or trade off of fuel for cargo. Then there is feedstock for programs (F type) There has to be enough. The only 777s that came up were parted out as there was more money to be made going that way. Its all a heck of a balance that someone in a rubber room tries to make. Main reason why the USAF wanted the A330 was it’s cargo capacity. Today USAF is wasting airframe time of precious C-17 for paletized cargo any aircraft with pallet capabilities could transport. About half of the KC-10 fleet was reserved for cargo missions during operation Desert Storm. The KC-10 fleet nearly reached its end of life. Why does the KC-135 still flies around? The KC-135 is a one trick pony. No real cargo or pax capability. Therefore these airframes have a lot of lifetime left due to rare use. Boeing was not able to offer both: a tanker and a freighter. So a 767-200 sized tanker was offered with far less cargo capabilities than 767-300F. Good old 767, one of Boeing’s best run programs. Did benefit from twins-over-oceanic/remote and two-crew breakthroughs. And an aside: in the lean times of the 70s Boeing was spending some money thinking ahead and doing homework to prepare for the future. I am amazed at the quantities of 737s being pumped out of Renton today, considering sales were so slow that closure or sale of the program was considered. Boeing was thankful to small airlines that bought one or a few at a time as they grew. (The emerging intrastate airlines such as AirCal, as well as Aloha and Southwest, as well as Pacific Western and Wein (who walked into Boeing’s nice offices one day with a dusty cowboy hat, ended up buying 15 airplanes in the next few years).